Home Katiba Corner Are we fighting against: ethnicity or greed, violence? There has been a broad consensus for a long time among middle class Kenyans that the major problem facing the country is “ethnic conflict”. “Ethnic” is not well defined; among many people, local and foreign, it is a substitute for “tribal”. Africans prefer the word “ethnicity”. The terminology suggests that no threat to Kenya’s stability is seen to emanate from the European and Asian settlers. In the 1960s, it was widely assumed that the major problem facing Kenya was to find a suitable set of rules giving these settler communities sufficient participation in the politics and economy of the country. It took some time before we achieved this—after a large number of Asians were more or less forced out of the country. The focus has now shifted almost entirely to relations among different African communities. There is equally no clear definition of “conflict”. It seems to relate entirely to the violence accompanying the capture of the state (at elections), with a view to plundering it for the benefit of one or two communities, and the exclusion of others from the resources of the state. It seems paradoxical that the supreme manifestation of democracy, free elections, should be seen as the much dreaded “conflict”.Since independence, elections have been rigged, manipulated, and accompanied by such violence that elections are regarded as “conflict”, when people who can afford it leave the country. The beneficiaries of this “conflict” are not the general members of the “winning” community, but only a few privileged families among them. Just as the losers are also a few privileged families—of other communities. So elections are contests between elites, though the price in life and property is paid by ordinary people, generally of both the winning and losing communities. If “conflict” is now restricted to relations among African communities, the reality is that not all are involved in it—only the five or six largest such communities. The conflict occurs around election times, and the main culprits are the larger political parties (or fiefdoms of those privileged families) based on one or a small consortium of tribes, who are not averse to the use of violence and bribery –and other forms of corruption. The prescriptions for cures for the violence therefore hinge on the impartiality and effectiveness of the supposedly independent electoral commission (laden with most of the functions and responsibilities connected to the different stages of elections, including rules for the formation and functioning of political parties, especially at election times. But those parties are surrogate for the elites of tribes. Tribal alliances are negotiated with a view to elections, and often change radically from one election to the next. National social and economic policies count for nothing and are dispensed with during the elections—as indeed for most of the time. The use by political parties, and the state, of intimidation and violence has long been standard practice—even when, during Moi’s regime, Kenya was pushed into a one party state. In these circumstances, Kenya’s conflict has hardly any resemblance to what scholars and international institutions call “ethnic conflict” or “nationalism” that leads to it. These are often driven by people, on the basis of religion, language, history, or other distinguishing features, and are directed towards secession, autonomy, recognition of language or religions, etc. Kenya may have passed through this phase at the time of independence, but no community or organisation in recent years has seriously demanded secession (not even the much maligned MRC). Our parliament is truly representative of our diversity. Most people and communities are happy with devolution. The marginalised find solace in provisions directed to their welfare and participation. Mobility brings peoples closer together, often harmoniously – except at election time. Some small communities are perhaps left out of mainstream politics or economy—and have asked for redress, entirely within the terms of the new constitution. Kenyans are beginning to enjoy the diversity of arts and culture—I certainly am. I cannot remember any period since my childhood when there has been such a clear feeling of being Kenyan and pride in our country, if not in all of our public institutions. 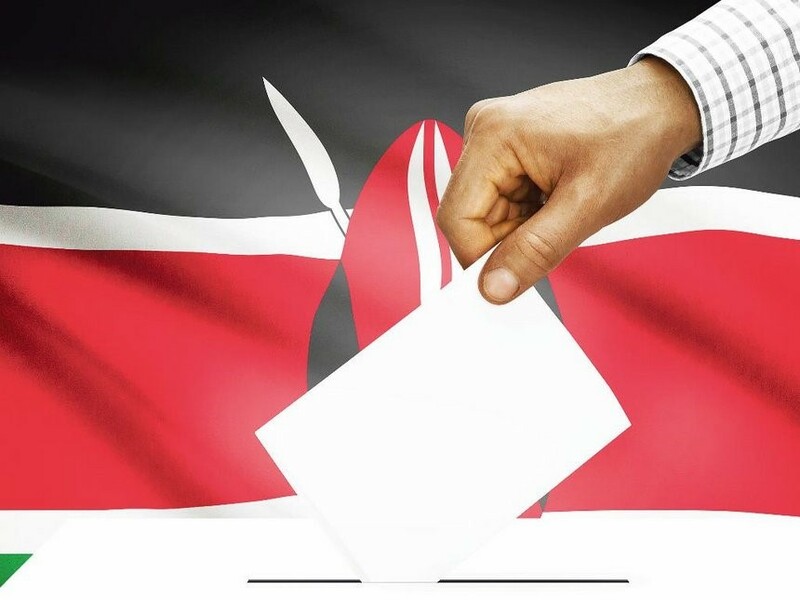 Many more factors unite Kenyans than divide them—unless it is their politicians. The last time I was called ‘muhindi’, pejoratively (look out Hon. Duale) was by a member of the CKRC! Even the huge crowds at political rallies, turn out, equally, for all the parties, without discrimination–in part because they are in the business of sustaining themselves and their families by bribes, driven as they are by poverty. Yet everyone, from politicians, civil society, foreigners and even erudite Kenyan scholars, describes inter-party squabbles as “ethnic conflict”, putting it on a grander scale or higher motivation than it really is—such as in terms of “identity”. Undoubtedly our problem is violence; it used to be periodic, but is becoming routine. It is this violence, used by most political parties and many candidates, that is the greatest threat to us. I want to close by reference to two excellent, official, studies of state or party sponsored violence. One is the Akiwumi Commission Report in 1999 on “Tribal Clashes” (banned, indeed hidden, by Moi for several years, until civil society pressure forced its release – and even then not without some doctoring). The second is Waki Commission in 2008 (“Post Election Violence”) published immediately on completion, thanks to Kofi Annan and his colleagues. Both are lengthy and thorough. These commissions (and some parliamentary enquiries) found massive use of violence by the state authorities, particularly the police—clearly on instructions from the presidents. No action was taken on the very clear evidence presented by Akiwumi and parliamentarians; as we know none was on evidence presented by Waki. A-Gs and DPPs did little to prosecute. The Waki Commission summarises well both the reasons for violence and the refusal to prosecute instigators of violence—starting from the time of Jomo Kenyatta (and now continued by Uhuru). The massive use of force by the state is a legacy of colonial rule that every government has ardently embraced—force, not consent. The Waki Commission noted this tendency, which it described as “politicisation and proliferation of violence… this deliberate use of violence by politicians to obtain power…plus not to punish the perpetrators has led to a culture of impunity and a constant escalation of violence.” Commenting on the prevalence of violence—and not only in politics—the Commission noted that violence can be tapped to win elections. It also noted the growing power and personalisation of power around the presidency—and the importance to “his people” of winning at every elections. This had led to a “deliberate denudation of the authority and legitimacy of other oversight institutions”. I conclude with the following observations from the report: the rise “of the perception on the part of the public that given the power of the President and the political class everything flows not from laws but from the President’s power and personal decisions. This also had led the public to believe a person from their own tribe must be in power, both to secure for them benefits and as defensive strategy to prevent other ethnic groups, should they take over power, taking jobs, land and entitlements. …All of this has led to acquisition of presidential power being seen by both politicians and the public as a zero sum game, in which losing is seen as hugely costly….”. For these reasons the new constitution defined the role of the police and armed forces as the protectors of the rights of the people and the defence of democracy. It made the police independent. Not surprisingly, the first amendment to the constitution that President Uhuru introduced was to undermine the independence of the police—now increasingly, by law and practice, under his complete control.